State Farm Florida, began sending out cancellation notices this week to nearly a fifth of its 714,000 customers, most of them in the state’s hurricane-prone coastal regions. The largest homeowners insurer in Florida is canceling the policies of 125,000 of its most vulnerable customers beginning Aug. 1, halfway through the 2010 hurricane season. The company, State Farm Florida, began sending out cancellation notices this week to nearly a fifth of its 714,000 customers, most of them in the state’s hurricane-prone coastal regions. A spokesman for State Farm said the decision was the direct result of its failure to win a 47.1 percent rate increase from state regulators. State Farm stopped writing new policies and sought the increase a year ago, saying severe losses from a series of devastating hurricanes in recent years had rendered its business model unworkable. It said that without the large increase, it would be insolvent by the end of 2011. 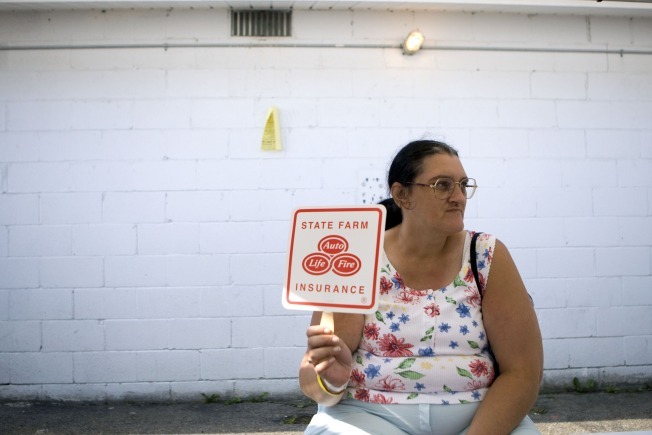 The losses for State Farm are especially large because it is the largest insurer in the state. But the insurance industry across the board has been slammed by heavy hurricane losses in recent years, most notably from hurricanes Ivan (which caused $8.9 billion in damage) and Frances ($8.3 billion) in 2004 and Wilma ($20.6 billion) in 2005. Although there were no catastrophic hurricane losses in the last two years, the potential continues to drive up costs for Florida insurers, whose access to reinsurance is restricted because of the risk, the state Office of Insurance Regulation said. It projected that 102 of the 200 largest Florida carriers were running suffering net underwriting losses. Numbers like that led State Farm, which said it was losing $20 million a month, to give notice that it would pull out of the Florida market unless it could enact a mammoth rate hike. In a settlement with regulators in December, it was granted a 14.8 percent rate increase and permission to drop its most vulnerable customers over an 18-month period as a condition for its agreement not to withdraw from Florida completely. The first of the cancellations will take effect at the beginning of August because state law requires six months’ notice, State Farm said. That will put them in the middle of the 2010 Atlantic hurricane season, which runs from June 1 to Nov. 30. To mitigate the impact, State Farm agreed to allow its agents to place canceled policyholders with other companies. It said those agents could continue to service the policies even though they were no longer with State Farm. Victoria Baer, a 26-year State Farm customer who owns an advertising business in Jacksonville, was waiting this week to see whether she would get one of the notices. David Miller, president of Brightway Insurance in Orlando and Jacksonville, saw a silver lining to the announcement. Spreading State Farm’s customers around to other companies will make the homeowners insurance market more competitive, and the canceled State Farm customers will likely get a better deal from their new insurers, he said. “I think when they go to shop ... they’re going to find that there are actually some tremendous savings, and this could end up being a blessing in disguise for many people,” Miller said.